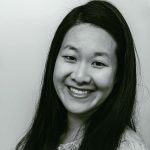 Published Feb 22, 2018 Updated Apr 8, 2019 By Julia 3 CommentsThis post may contain affiliate links. 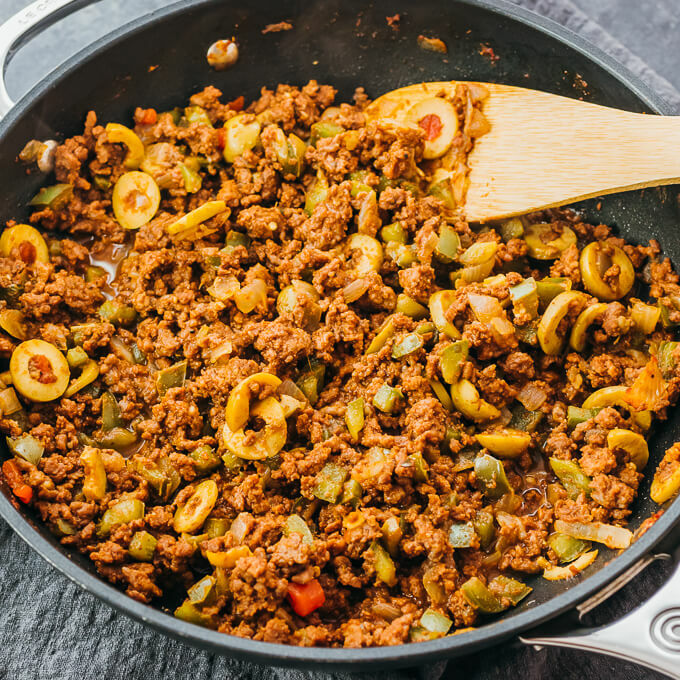 Picadillo is a fragrant Cuban chili, easily cooked in just one pan with ground beef, onions, olives, and warm spices like cinnamon and cumin. 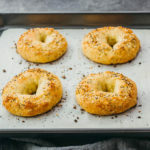 Low carb, keto, and paleo. 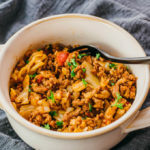 The ground beef is briefly marinated with baking soda, which helps tenderizes the meat so it tastes less dry and tough when exposed to heat (similar to the technique of using corn starch to tenderize flank steak in stir fry dishes). The meat is slowly browned by cooking it in a mixture of vegetables, which cooks the meat more gently. 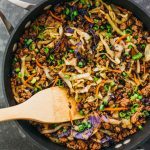 To keep this recipe as simple as possible, the simmering time is minimized by skipping additional liquids like wine or broth. Instead, use the beef’s natural juices to provide liquid for simmering. 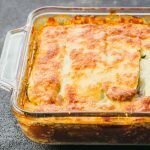 There’s no need to use a lid, which allows the liquid to evaporate more efficiently. 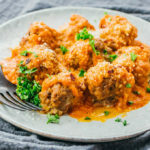 The proportions in this recipe have been tweaked so that it works for a low carb or keto diet, summing up to 7.5g net carbs per serving. 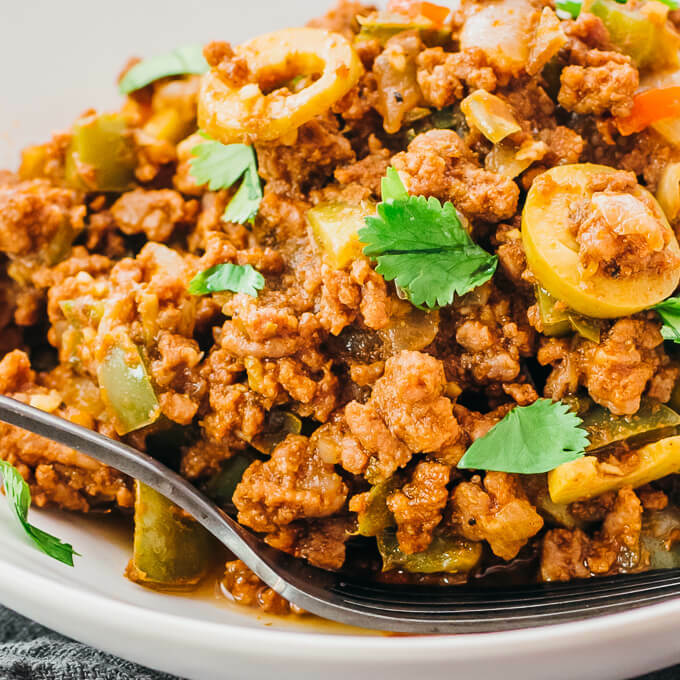 Since picadillo is commonly served over rice, you can pair this with a low carb alternative like fried cauliflower rice or spiralized vegetables. 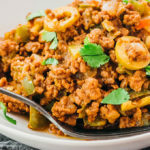 Another serving idea is to use picadillo as a filling inside tortilla wraps (Mission and other brands sell low carb versions). 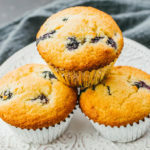 In a mixing bowl, stir together water, salt, baking soda, and pepper until the baking soda is dissolved. Evenly pour the marinade over the beef, stirring or using hands to work the marinade into the meat until it's just absorbed (don't overmix). The baking soda will help tenderize the meat. Set aside. In a wide pan (I use an 11-inch nonstick pan), heat olive oil over medium heat until hot. Add chopped bell pepper and onion, cooking until softened and lightly browned, 5 to 10 minutes, stirring occasionally. Add minced garlic and all dried spices to the pan, stirring for about 30 seconds to release the aromatics. Reduce to medium-low heat. Add tomato sauce, stirring it in for about 30 seconds. 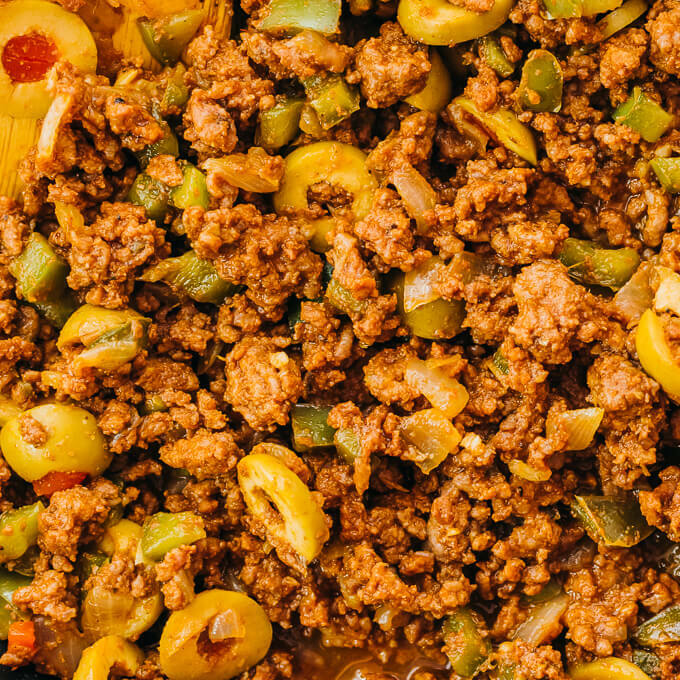 Add the beef and olives, and increase back to medium heat. Cook until the beef is browned and some of the released liquid has evaporated, 10 to 15 minutes, stirring frequently to crumble the beef as it cooks. Serve into bowls, and top with fresh cilantro. Oh this looks good! I love the inclusion of green olives in with the meal. wonderful. 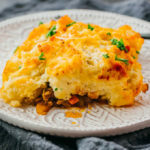 This had all of the ingredients that I love!